Unique Moments Photography of Gig Harbor Washington captured this image in 2013 and its been a favorite. 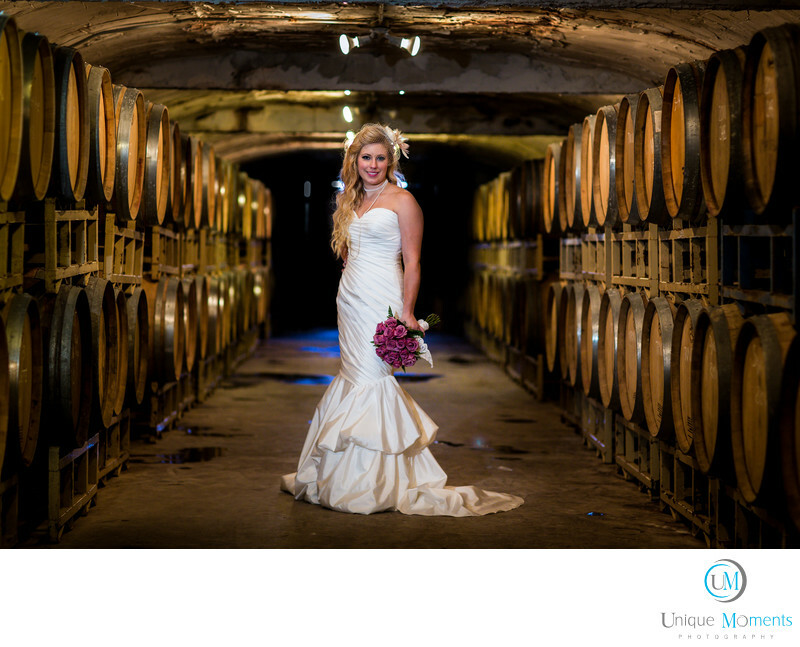 This wedding was at a Winery and we asked the wedding coordinator if they had a traditional wine barrel room where wine was stored. You Bet they did and we took full advantage of the photo opportunity. We asked our bride to show us her best Modern Bride pose and the rest is history. This image was captured just as winter broke and the trees were still bare from a late winter season. Sometimes you have to work for it. Sometimes you have to get away from your venue and find areas that will work. Our goal is to create great images at every wedding we cover. We always keep looking and we wont stop until its time to go home. There is always a way, and sometimes you have to look for it. This room was under lock and key and not open to the public. The wedding coordinator knew that the late winter resulted in this beautiful lush winery not being up to standards for this April wedding. She opened the doors and helped out big time. Ask and Search until you have something you are proud of.There is always a way to get it done.